Discussion in 'Audio Hardware' started by Fast996, Feb 4, 2019. One thing that even the best old systems didn't have was clarity. Ever hear an old Quad ESL driven by a pair of Quad IIs?- really very 'clear' @tmsorosk - lots of other shortcomings- no super deep bass or ability to play loud but one thing they are is see-thru. Helom and chervokas like this. I guess it depends on how big the studio staff is. You know, audio and recording engineers study audio electronics. In fact, what I learned about audio electronics I learned from taking my little brother's text books, after he graduated from an audio engineering program and when to work as a studio engineer at a then-big (now defunct) recording studio in NYC (with the move to home studios, many of the old studios are gone, and he's in an entirely different business today and doing well). When I set up a little home studio years ago, he set up the patch bay routing and wiring for me. And as a jr assistant engineer on staff there he did lots of the maintenance stuff -- like replacing and matching tweeters, adjusting tape deck azimuth, etc. A guy trained and certified as an electrician would have no idea about that kind of stuff, or how to shoot a room for frequency response, etc. just like my brother wouldn't be going into the circuit breaker panel and replacing circuit breakers or running new AC service or wiring overhead light fixtures in the building, those are things that they'd have to hire electricians to do (in fact building codes might require the hiring or electricans to do that in NYC). Taking out a mic pre card from a console and replacing it with a new one, that's something that one of the audio engineers might do. In a bigger studio there might be a dedicated equipment tech on staff. Repairing or customizing it, again, something that one of the audio engineers or an on-staff tech might have done (they might also modify or repair mics or guitar amps or whatever), or the piece might have been sent out to an outside equipment tech or to the manufacturer. Almost certainly none of those people would have been trained or certified electricians. Some of them might have had training in electrical engineering, all of them would have had a sort of apprentice training in audio electronics. You also have union issues in NY. Big time. Another thing about digital: signal levels are higher, which improves S/N in many practical situations. I've never had a hum problem in an all-digital system, nor any audible noise. Many good points already made about technical improvements. I would like to add that digital, besides increasing dynamic range, has banished wow and flutter. This is a big deal to those who are sensitive to pitch variation. It's most noticeable in how much better piano recordings sound in that respect. Excellent point. Before digital, pitch and timing of recorded media was, to some degree or another, varying. Now it can be perfectly stable. Personally, I'm not hyper sensitive to small pitch variations. In fact, I probably have a lesser than average ability to hear small differences of pitch at all, more like 12-15 cents for sine tones or worse, not 5-10 cents difference, so it's rarely something that jumps out at me other than going back to pre tape music and playback (or really poor recording or playback gear or, most commonly for me, off center vinyl pressings). But yeah, that's an excellent point, and I know some people who are very sensitive to this. Luckily that's not one I'm cursed with. Stone Turntable and SandAndGlass like this. I often question the advancement of speaker tech. 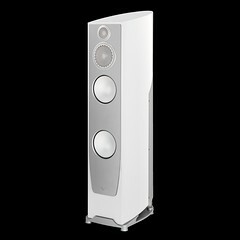 I think affordable speakers sound better than ever, and measure flatter than in the past. However, where ultimate capability is concerned, with speakers that sound natural (as opposed to overhyped or analytical - YG Acoustics etc.) I think very little noteworthy progress has been made. Take note of all the rich East Asians seeking out Western Electric horns and the like. Field coil drivers, compression drivers, full-range drivers, crossover-less speakers, paper cones, horns, wide baffles - all old tech and design approaches that are making strong comebacks. The ubiquitous 3-way, narrow-baffle towers, with aluminum-ceramic-graphite-nanounobtanium drivers often don't sound any better (and often worse) than an old-school paper/plastic coned 2-way IME. When you think about all of the modern day technical advances. It is kind of amazing that audio gear, speakers, microphones, amplifier's records and such often sounded better back then then most modern consumer gear today. Regarding speakers to my eyes it seems to be a huge step backwards as Amazon and Google speakers seem to be ubiquitous. Shame, Google like it when you talk to him. He remembers every work that you say and how you say it. And most listeners aren't looking for that kind of experience. Someone offered the answer "listeners" as what's changed, and I think that's a big factor. Listeners aren't looking for high-fidelity reproduction of a performance in a moment and space. So engineers aren't making that. Even in the world of audiophila, you the new cult of "if it sounds good to you, it is good" which means everyone has their own personal standard for good sound and the range of sound that's out there -- from flea watt SET amps and horn speakers; to kilowatt solid state amps and planars, from vinyl (with all its mechanical noise) to high res digital streaming -- is all over the place. They don't really sound very much alike, they can't all possibly be equally faithful (the meaning of "high fidelity") to the source signal. But fidelity is no longer a widely shared standard. Most people today have not ever heard "high fidelity", they would have no point of reference. They are so used to listening to the crappy little speakers that are in flat screen TV's, that they think that sound bars are impressive. Today, these people have never even heard a quality horn speaker and an SET amp. Only the stuff that the big box stores sell, at the very best case scenario. Vinny123, TarnishedEars, tmsorosk and 1 other person like this. Very true. When I recently told an acquaintance that stereo is my "hobby," he smugly replied, "I have a pair of good speakers from a brand you've probably never heard of: Paradigm." Tullman and SandAndGlass like this. I rarely mention "the hobby". I do run into others from time to time, who talk about their audio gear to me. I usually just smile and nod my head. They just would not understand. bever70, Eigenvector, Helom and 2 others like this. Hey, he could be talking about the $35K a pair Persona . Tullman, DrZhivago and SandAndGlass like this. Well, the ESL's and 57's were good in there own way, yes I heard them many times in many different systems. I was never impressed with the II's. Regardless of what I heard back when the ESL's had a one note rightness that was/is miles away from whats available today. Sorry Bill, I'm an old timer too but the clarity and tonally correctness of todays instruments makes that gear sound somewhat incomplete. I don't know if that's true on the average. 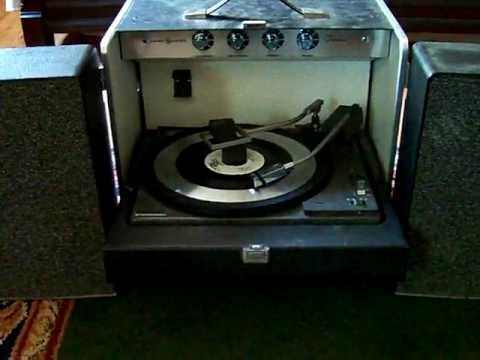 I always use the example of the system I grew up listening to in the '60s and '70s -- a GE Trimline suitcase style all in one record player. Pretty typical consumer audio gear. As was the various transistor radios I listened to and with the tiny speakers and mono earphones, or the car audio I grew up with then. Today, streaming high resolution digital audio to the Riva Festival I bought for my wife, delivers enormously better sound than the old GE Trimline did: it plays with much greater detail, enormously lower noise and distortion, it plays louder cleaner, it's just much, much better. I don't think older audio gear necessarily "often" sounded better than most modern consumer gear today at all. Much of the average consumer gear from back then couldn't hold a candle to a lot of the average stuff today. There are great pieces of gear from back then. And there are many of us who like the sound of older tech like tube gear despite (or maybe because of) its relatively higher distortion and often frequency response modifications related to its interaction with loudspeaker impedances. But I think even a new LG phono playing a high bit rate lossy compressed digital file over half decent headphones of today, are better than my dad's Trimline. Brando4905, DrZhivago, Tullman and 3 others like this. More likely that it was their most entry level stuff. I only thought it was amusing because while Paradigm isn't a household name, just about every audiophile knows of them. Like asking a watch enthusiast if they've heard of Tag or Omega. SandAndGlass and pdxway like this. Certainly, and that was almost my exact response. Anything beyond that is usually a waste of breath. It is incomplete, no doubt. The II wasn't very impressive to me, either, but hooked up to the old ESL, with GEC glass, it is pretty special. Still limited in many ways, I agree. I do think they are 'clear' but I take your point about the full bandwidth + clarity + punch. Certainly one out of three for the Quad thing. Sure, there was plenty of not so high end audio. My point is that technology was sufficiently advanced 50+80 years ago, that allowed for some excellent sounding audio equipment. I am not disagreeing that we have had digital audio and other advances since then. I used to listen to compressed Pandora over good quality audio components every day and I'm fine doing it. While we realize that equipment today may technically have a more extended range and other things that can be technically measured. That doesn't necessarily mean that new gear will necessary sound better. More guitar player's I know that would rather be playing old guitar's through old amps, than the gear that was made last year. Guitar is different than hifi though. Guitarists are choosing to make a certain kind of sound for aesthetic and artistic reasons and one thing or another might produce that sound, in this case probably they're chasing a familiar sound of the past, so they might turn to tech of the past (also they're tolerating and even looking for high levels of distortion, even with "clean" tones), but in truth, I see lots and lots of modeling amps in use by guitarists too. With hifi the goal is to faithfully reproduce the input signal, not artfully create a particular sound for personal aesthetic reasons. They're really two very different things. "Sounds better" of course is a wholly personal and subjective standard, so there may well be just as many or more people who think some piece of modern gear sounds better than a SET amp and Klipschorns. Lower distortion, flatter frequency response, lower noise -- those things aren't subjective. And really, I don't know if you're old enough to remember the days of things like the GE Trimline I posted a picture of, or some of the other average consumer gear of the '60s and '70s, but having lived with that gear and hearing today's modern consumer electronics, I gotta say, the old stuff often didn't not outperform the new stuff. Some of it did and does, but you gotta compare apples to apples. Comparing yesterday's highest hifi to today's cheapest, more common consumer electronics doesn't really do that. I like vinyl, I like tubes. I listen to that stuff today. But I wouldn't trade something like a Riva Festival for something like a Trimline suitcase record player -- and those are products that serve kind of similar niches in their eras: one piece playback units, able to be moved from room to room, not the cheapest things on earth but not the most expensive. My first stereo was like the Trimline. It was an all in one, suitcase design with a pull down TT and fixed speaker's. I was about nine back then. Sure, the average consumer did not have high end audio, but high end audio was out there. K-Horns could do things back in 1960, that most systems can not come close to reproducing today. Today, in exchange for something that measures well and has extended range, we have lost the magnificent midrange that we had so many years ago. You can go into a Magnolia store inside a Best Buy or similar audio chain and you will not even come close to the the natural sounding midrange that I can reproduce with my vintage gear. One of my observations on vintage audio gear is that they did not take things far enough, but what they did, they did well. My vintage Altec Lansing A7's are excellent in the midrange (with the proper amplification), but they are rolled of in the deep bass and HF. I supplemented the bass cabinets with a horn loaded subwoofer and added s super-tweeter to the horn's. Now, I have a full range system, along with the nice midrange. Regardless of the different SS amps I have used with the Altec's, I have yet to find any that can do the justice that just about any class A/B tube amplifier can. Nothing SS even comes close, when running with an SET or SEP (Single Ended Pentode). I have modern gear and I have vintage gear, both home stereo and commercial audio gear, SS and tube. I don't say that necessarily vintage sounds better than modern, because I do have and enjoy both. But, often times, making changes means giving up something that you once had and valued for what it was. Good for you. Did you build the recording studio or have input...knowledge of the the electrical setup of the gear...ie mic pres,compressor,amplifiers,eq ect? I know and knew how everything worked. I built some of the equipment like the mic preamps and some of the LP mastering gear. The various companies that sell MC cartridges priced higher than what a really good system/turntable cost even now let alone 50yrs ago have to be laughing all the way to the bank! What's changed in 50 years (equipment)? A lot of great stereo companies went broke. Mike-48 and SandAndGlass like this. I can only comment on from early 80's to present. Convenience/accessibility, mostly in regards to the source equipment. Advances in digital technology also made possible to achieve decent (good enough) sound fora very little money. This also allowed for audio to be integrated into multi purpose audio/visual devices. This lead to the near extinction of the traditional mid-class hi-fi audio gear/companies. I could go on, but haven't had a breakfast yet. Ralph...the gear was rack mounted I would imagine and the rack grounded to mains supply? Was the gear in the rack bonded together? Yes, but its all balanced. In a balanced system, ground is ignored so no ground loops.